U.S. President Donald Trump announces a revamped North American free trade deal in the Rose Garden of the White House, Washington, Oct. 1, 2018 (AP photo by Pablo Martinez Monsivais). “It’s not NAFTA redone. 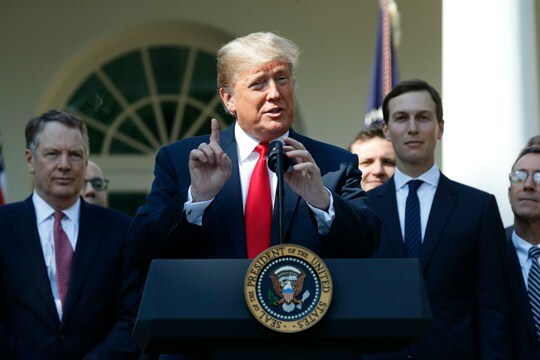 It’s a brand new deal,” U.S. President Donald Trump declared triumphantly at the White House last week, announcing the revised free trade agreement with Mexico and Canada. Don’t tell Trump, but his brand new deal is really just the Trans-Pacific Partnership with a few tweaks, and many fewer countries than the 12 that signed on before Trump withdrew.